I Love Home~Block 2 revealed! It is time to reveal block number 2 in the I Love Home Block of the Month by Jacquelynne Steves! It has been SO exciting to see everyone’s take on block 1! There are so many different color variations and people are being so creative! 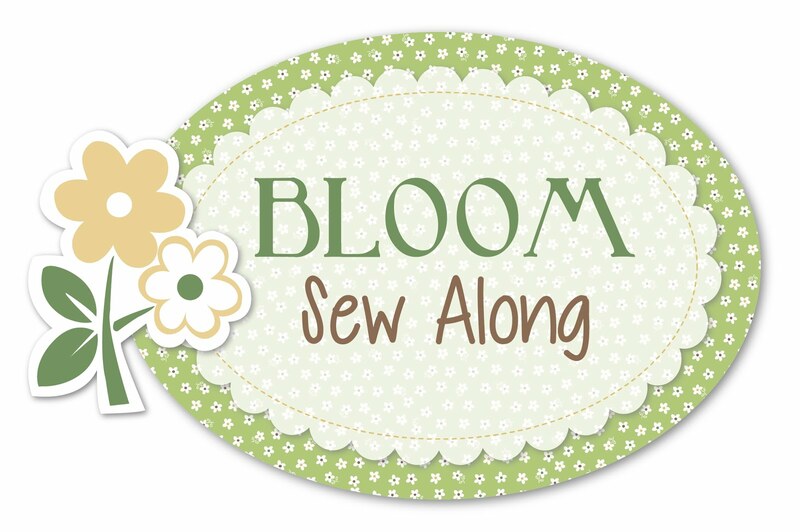 If you want to have a peek at some of the different blocks, have a look in the Sew Quilty group ( click here). I just love all that creativity and out-of-the-box thinking! Here is a detail from the door, because I am just a little bit in love with my toadstool button~it just seemed perfect for this little “Hansel and Gretel” colored house! And here is what I ended up making with that embroidered block: A sweet little wallhanging, complete with scalloped trim around the edges! A few more close-up photos showing the details! The rest of the block went together so easily. I love that the piecing is not complicated so that all the focus can be on the cute appliqué! I did decide to make my blocks a bit more scrappy than in the original pattern, because I wanted to incorporate a few more colors. I do want to share 2 little tips that you might find helpful: I was having a hard time getting my little narrow border strips to behave, so after I pressed them I placed a BIG ruler on top and on top of that my antique( HEAVY) iron. Then I let the block cool and it did seem to help a bit with the strips not bowing out! Also, I was having a hard time deciding on whether I wanted to make my outside borders as scrappy as I did, so I made up the pieces and laid them out and looked at them with my reducing glass….it is a great way to have a good look at your colors/ block design to see if they make you happy! Time for you to get started on your block 2, which should have arrived in your email inbox by now. If you are not signed up yet, it is not too late! Just click here and get yourself on the email list! I can’t wait to see what you all decide to do with this block so please make sure to post your pictures either in the Sew Quilty Group or on the Pinterest board. Alright, now for the part you are all waiting for: The Prize Give-Away! 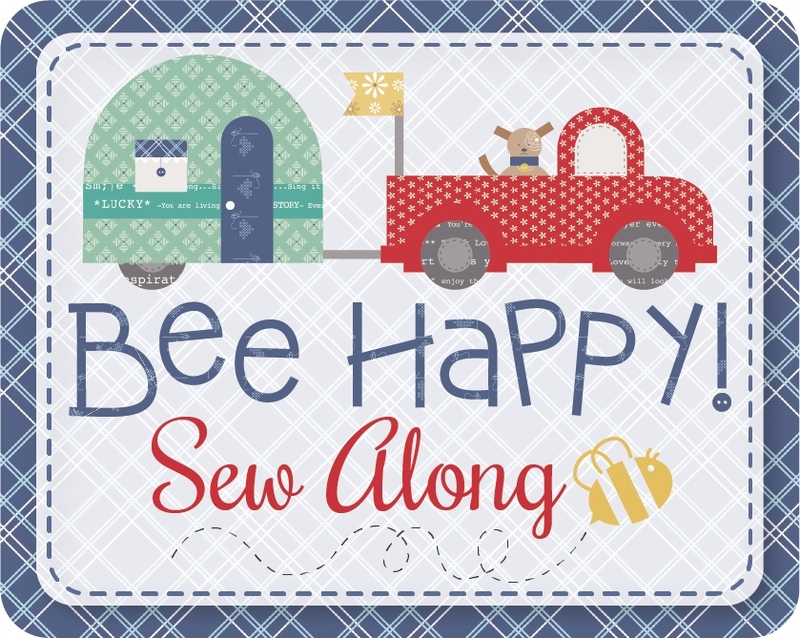 This month the prize will be a Fat Quarter bundle, generously donated by Designs by Sarah J.! This prize giveaway is open to EVERYONE so make sure to enter! In order to have a chance to win this month’s prize, please leave me a comment here in this post telling me what colors you are using in your blocks…are they bright, subdued, country, Christmas?? You can find more information on most of these projects by clicking the links in the sidebar! And if you would like to receive an email when I publish a new blog post ( once a week usually), please sign up with your email using the box in the sidebar. #ILoveHomeQuilt Love the 30’s fabric. Bright colors are my favorite. I’m sticking with fall colors for this project–it’s getting me ready for cooler weather. I am using fall colors. I am also starting to like the color orange also. I like variety but purple is always a plus. Amish and brights are fun as well. Oh yes, I don’t think I have seen one of these done in Amish colors…that would be very cool! I’m using fall colors in my blocks. I’m not working on this right now but I’m enjoying seeing everyone’s color and fabric combinations. Mine are bright colors–I plan to donate it to a fundraiser for one of the students at the school where I work. I did the same with last year’s QAL! That is a wonderful goal! Country! I also love reproduction Fabricus. Love the farmhouse. Charming! I am using pieces from my stash. All different colors. So excited to be part of this group! Would love to win the fat quarters! I am a fan of almost any color. Love making small quilts. I would go with country colors….that’s just me..love it! So pretty . Would love to have these! Just beautiful..need something amazing right now. I’d like to try a few versions…one the four seasons, one country colors and one jewel tones. I love your blocks above. Too cute. Beautiful bright colors!! Makes my eyes happy. Thank you Carla, aren’t you sweet!